Epoxy resin, wire, cloth, wood. 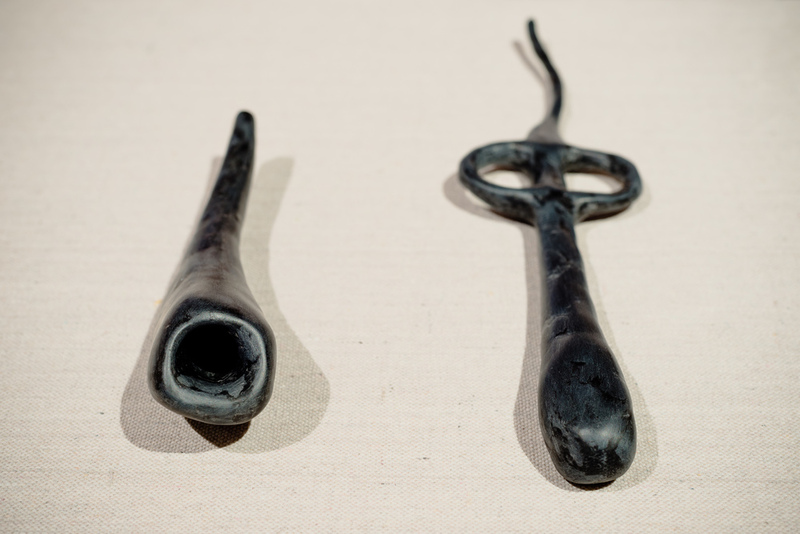 Unearthed consists of a six metre row of 46 unusual tools modeled with a blue-black resin based clay. 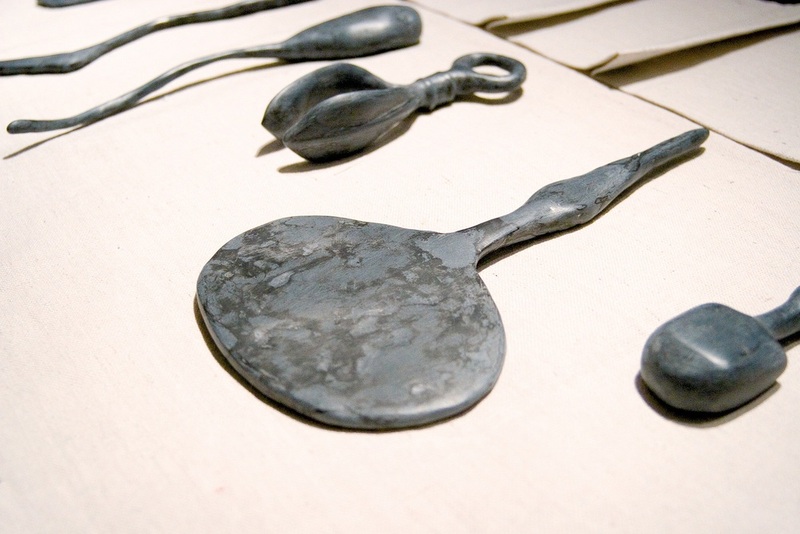 Displayed on table fitted with a rugged canvas tool roll, Just's gently-curved pewter-like sculptures were inspired by overseas research in the Metropolitan Museum of Art and the Brooklyn Museum in New York City. 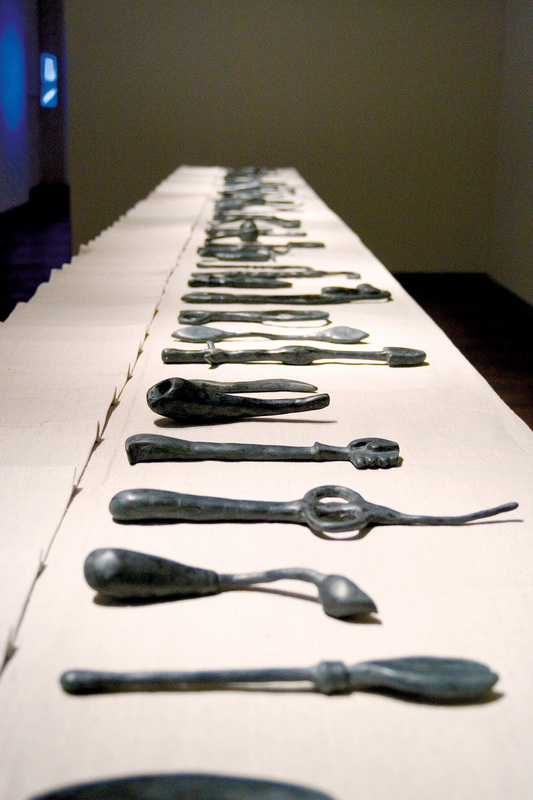 Reflecting a range of tools and implements that come into contact with skin in meaningful ways, the tactile, seeming archaic forms include mirrors, cosmetic implements, surgical and gynecological tools and tattoo tools, spoons, spindles, hand saws, stone-carving tools, mallets, letter openers and tiny sewing scissors. 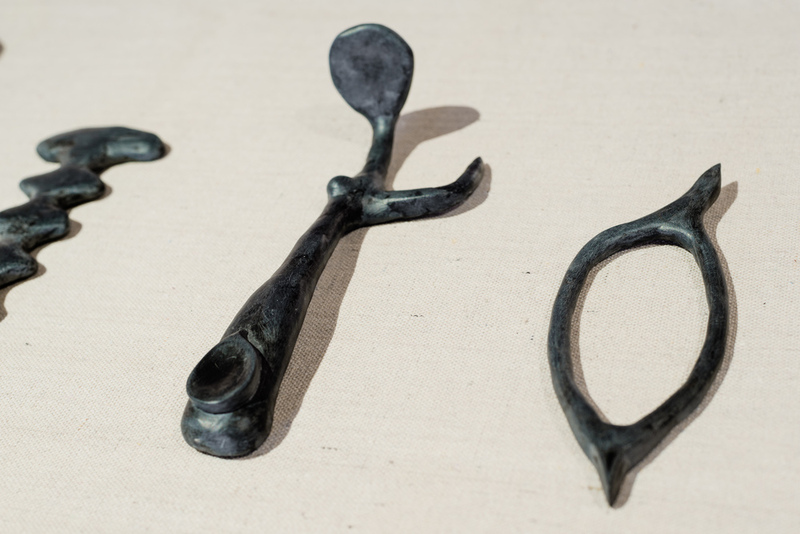 Sketched and later sculpted in clay, the works reflect simplified, abstracted and reinvented versions of the studied forms. Laid out in a row, they hover above individual pockets. Like letters or a script, they write a story: of the way bodies touch and are touched by the world.